Everytime my Aunt and Uncle from Delaware visit, they bring me a sixer of Dogfish Head brew. Not that we don’t get it around here, but there is one particular year round release from them that we don’t receive in New Jersey – Shelter Pale Ale. 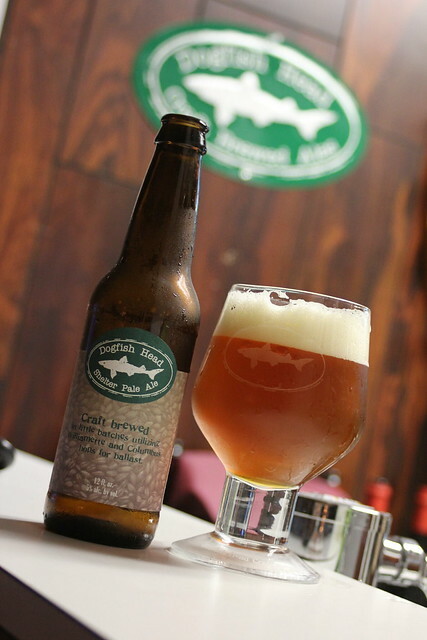 Originally brewed in 1995 and exclusively available to the Mid-Atlantic region of theÂ US, this is the beer that started it all for Dogfish Head.Â As you’re already aware, we don’t get this beer in the Garden State, which I find a little odd given the hype of Dogfish Head beers these days. Â I feel this beer would do very well in this state – anywhere, really. It is a great brew: well balanced, light and full of flavor. 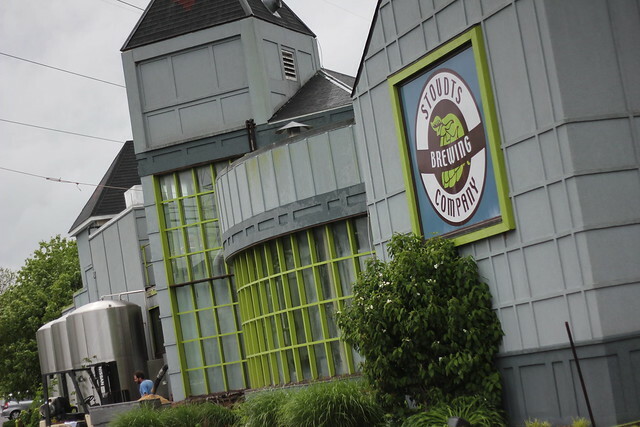 To those seeking some Shelter Pale Ale, I am sorry, but you’ll have to take a trek to Dogfish Head Brewings and Eats in Rehoboth Beach, Delaware to get your sample. Thanks for the six pack Uncle Rob! Also thanks to my friend Mike for the DFH glass and backdrop at his bar. 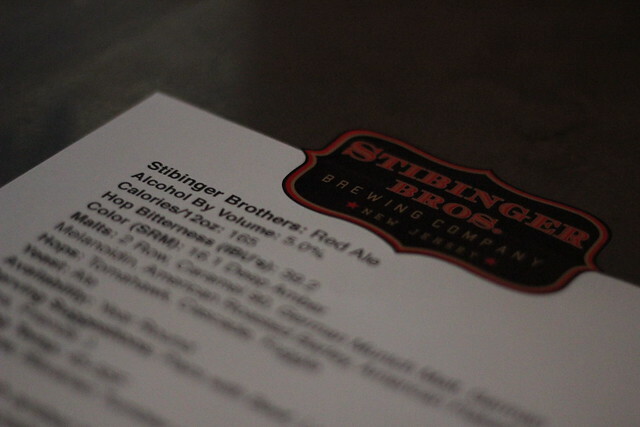 Some of you may be wondering who are the Stibinger Brothers. 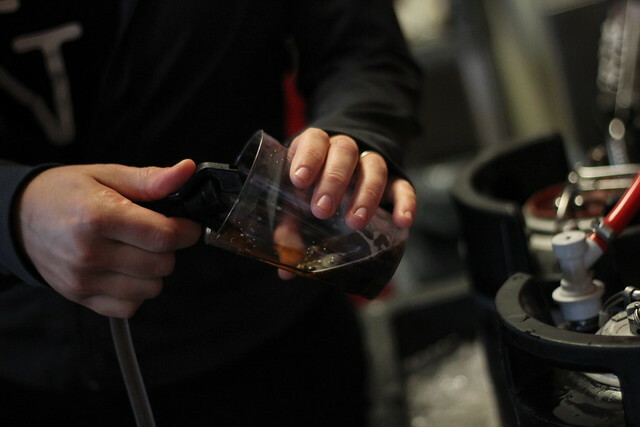 Barbers by day brewers by night, Adam and Gabor have been turning out short batches of hand crafted brews for locals inÂ Morris and Sussex county for a little over a year now and are truly perfecting their craft. 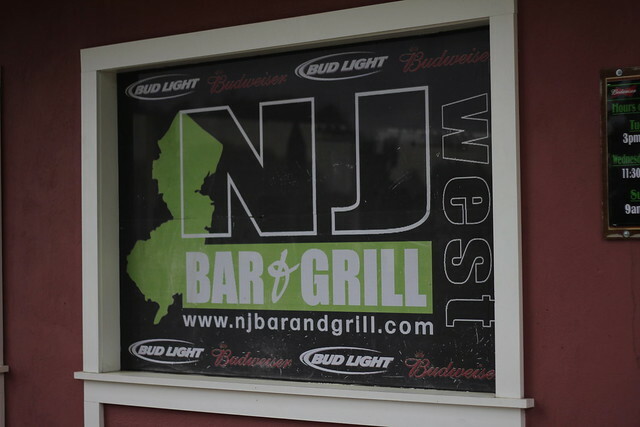 A few weeks ago they invited me out to their private tasting at NJ Bar and Grill West and to sample their latest version of their Red Ale. Adam and Gabor’s grandfather Sandor established Alex’s Barbershop in 1961 and still remains in its same location 50 years later. Â Adam and Gabor decided they wanted to do something special for their clients to commemorate the shops 50th anniversary. After conducting an in house survey of their clients, they found that 90+ percent of there clients are avid beer drinkers, with a 50/50 split between craft beer drinkers and corporate beer drinkers. 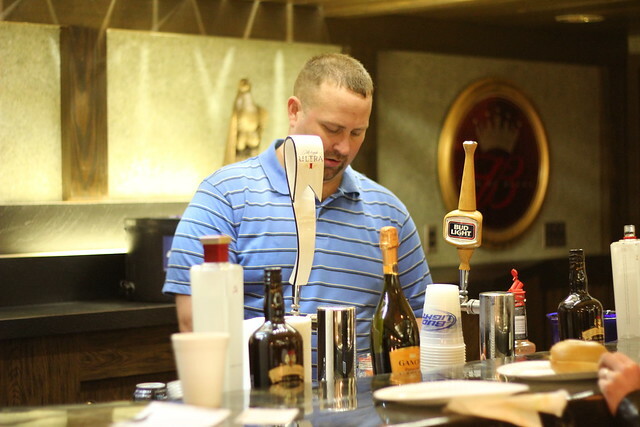 With their extensive backgrounds prior to taking over the family barbershop and their love for great beers, Â they started crafting recipes for their clients. Within this time their clients have tested various recipes from a Hungarian Pilsner, 3 versions of Red Ale, Belgian Tripel Unfiltered, and 2 versions of White Ale, and many more to come. 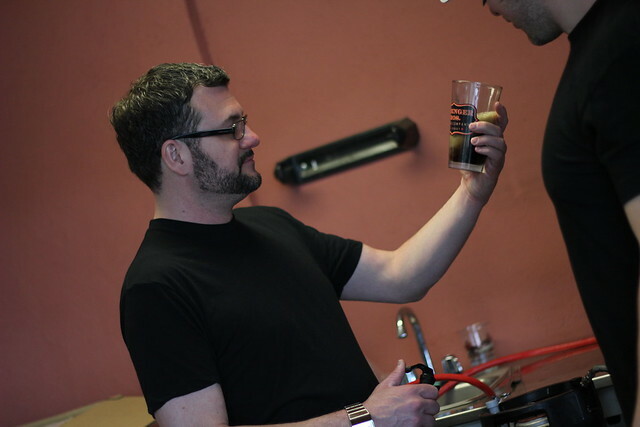 Gabor doing some quality control, making sure the Red Ale is carbonated and ready to go. Adam too was making sure the beer was proper. To get an understanding of the beer. 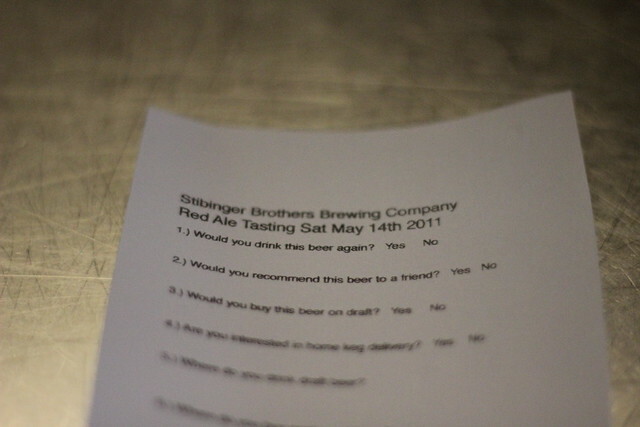 Adam and Gabor prepared a sheet with all you would want to know about the brew. 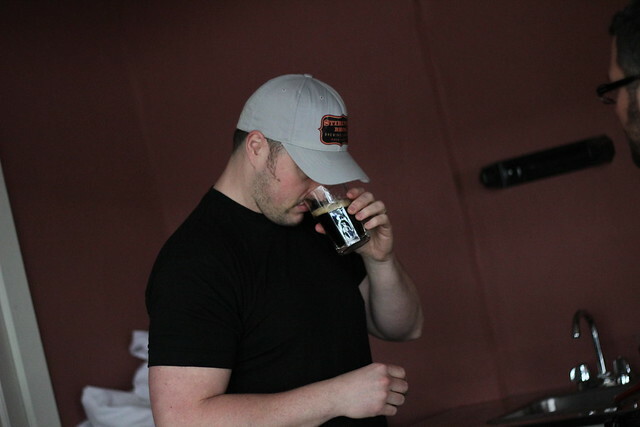 Tasting notes, ABV, IBU’s also the hops and malts that were used in the brewing process. 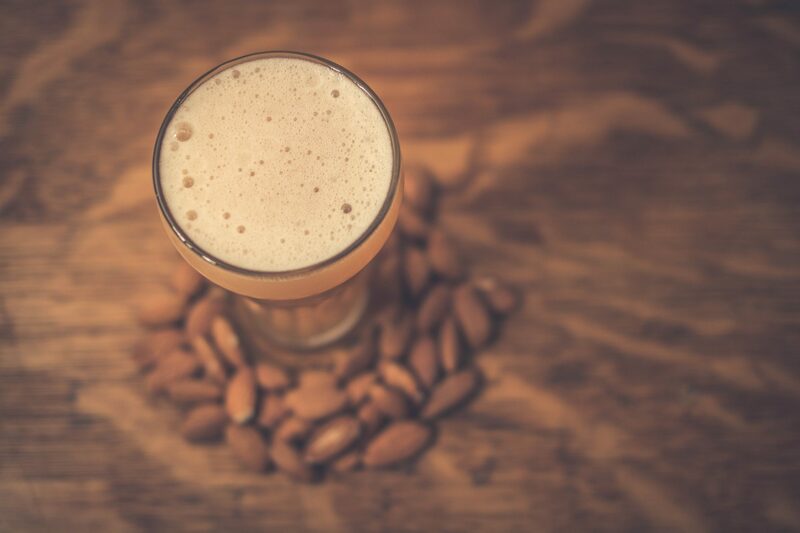 From Adam’s notes; This beer pours a silky tan head, the blend of specialty malts give this beer a roasted caramel flavor with notes of sweetness. The hops give off a piney, floral and citrus scent which is not overwhelming and really balance out the beer. I found it to be a smooth drinking beer, medium mouthfeel, lightly carbonated with a pleasant dry finish. I had their first version of their red ale months back and I must say the new version is a big step up. Great job guys! They were also taking orders on their T-shirts. Adam and Gabor were getting great feed back left and right. 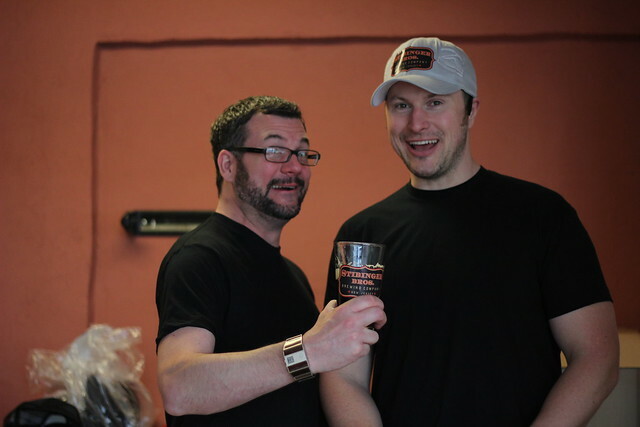 All that came had nothing but great things to say about their latest brew. Once again they had a questionare. All this research is key as it helps them find out what their customers really like. 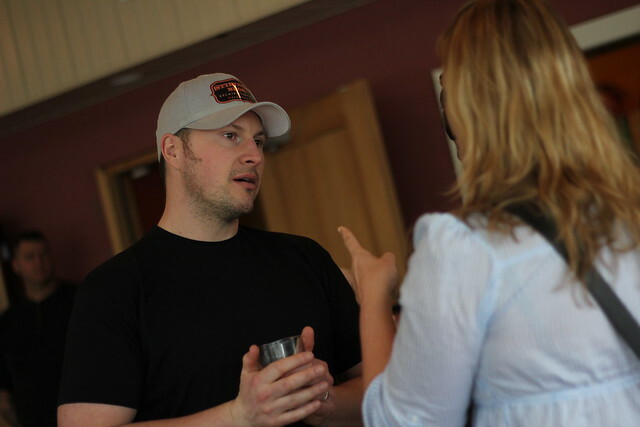 Adam taking in more feed back from a patron. In the following months the brothers will be filing for the appropriate license’s. 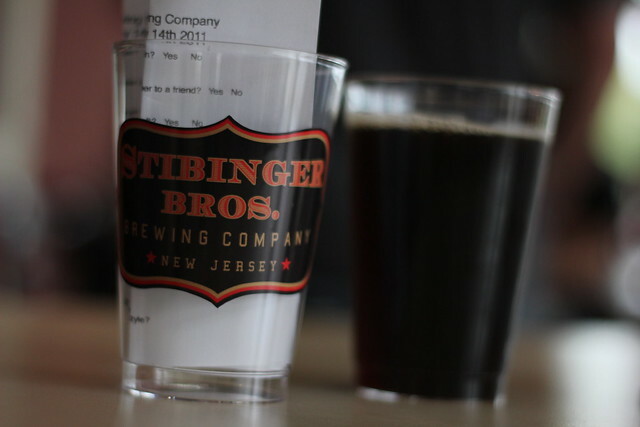 Stibinger Brother’s will have draft beer in limited locations, and small batch private allocation big bottles of special recipes. In the meantime they will be taking their new recipes to select local bar/resturants for private tasting. To stay up to date with Stibinger Brother’s progress email them at info@stibingerbrothers.com and you’ll be put on there contact list. 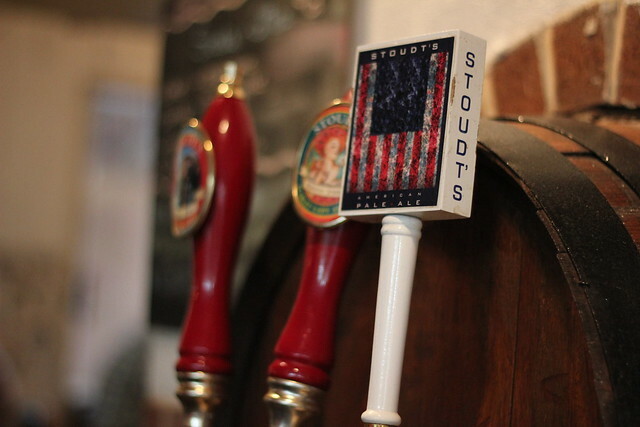 Last week I was invited along for a craft beer excursion to Stoudt’s Brewery, courtesy of my friends at the Mohawk House. 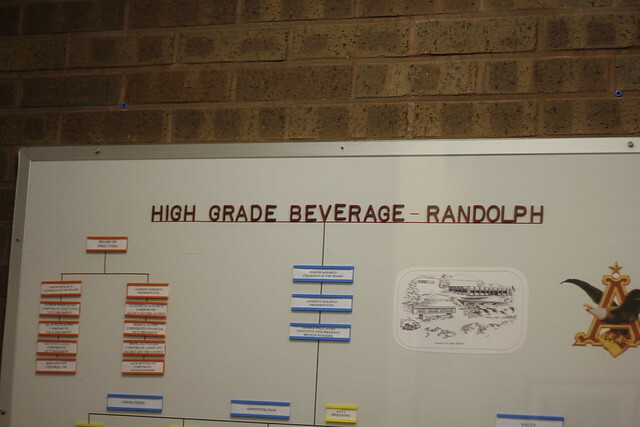 The trip started out at High Grade Beverage. They are a major distributor of Â wine, spirits, soda and beer – all the staples, to be sure, but their craft beer portfolio is really something else and worth mentioning. 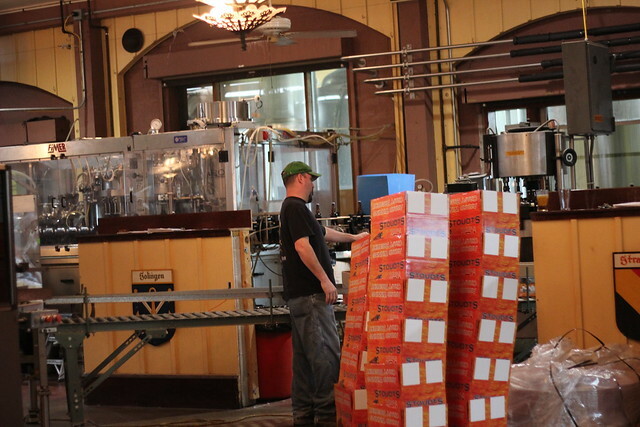 Some of the breweries they carry includeÂ Jersey’s own Flying Fish, Victory, Unibroue, Nectar Ales, and Otter Creek. Check out their “craft” portfolio. 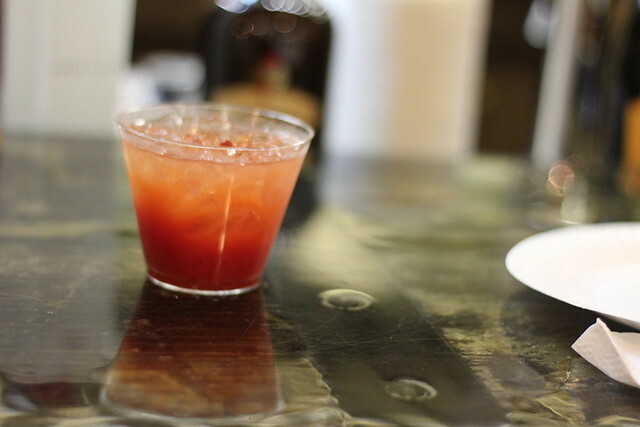 I had a bloody mary; should have went for the Irish coffee. Failure on my part. I mentioned this was an excursion, right? High Grade chartered a bus and it was definitely the highlight of my journey. I felt like I was on a grade school field trip! 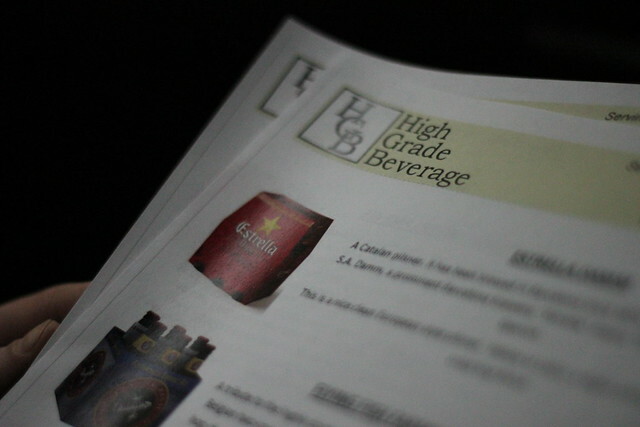 On the bus were complimentary beers from High Grade’s outstanding portfolio. 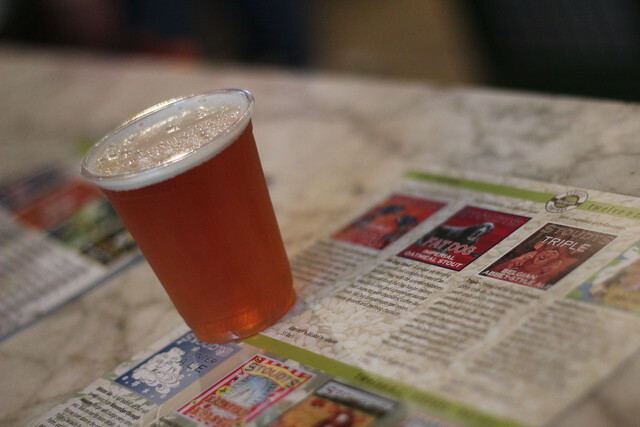 They were offering: Estrella Damm, Tommy Knocker Maple Brown, Victory Head Waters, and Nectar Ales IPA. 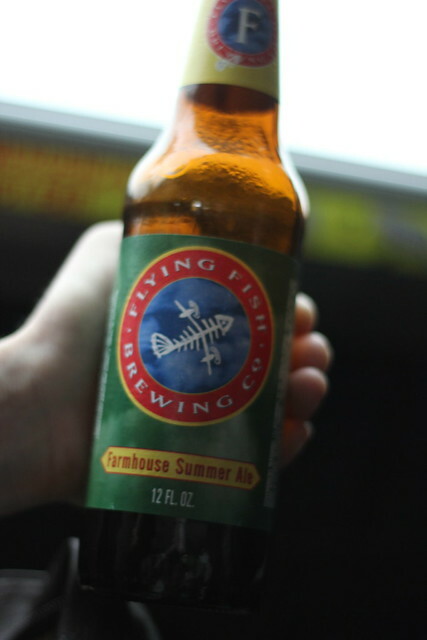 I started off with a Flying Fish Farmhouse Summer Ale. 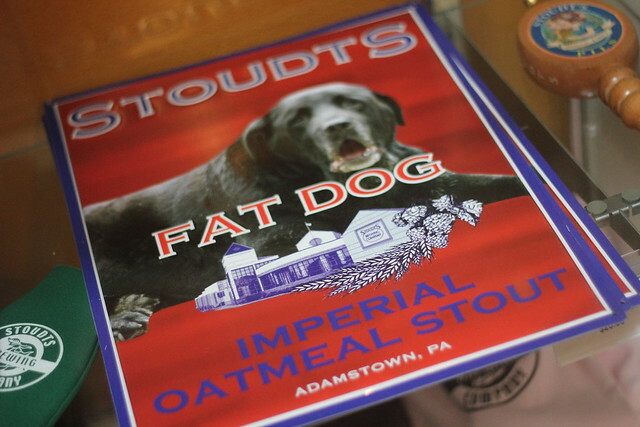 After a few beers and a two hour bus ride, we finally made it to Stoudt’s Brewing in Adamstown, Pennslyvania. 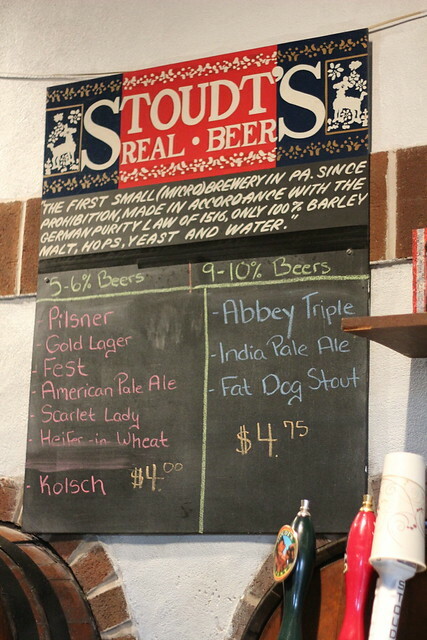 Stoudt’s has a lot history, so I will try to keep it brief. Ed Stoudt opened up his first business (Stoudt’s Kountry Kitchen) in 1962. Since then he’s made a lot of changes to the restaurant – originally modeled after his father’s chicken place, then transformed into a western style steak house, and eventually settling on an upper-class Victorian style. 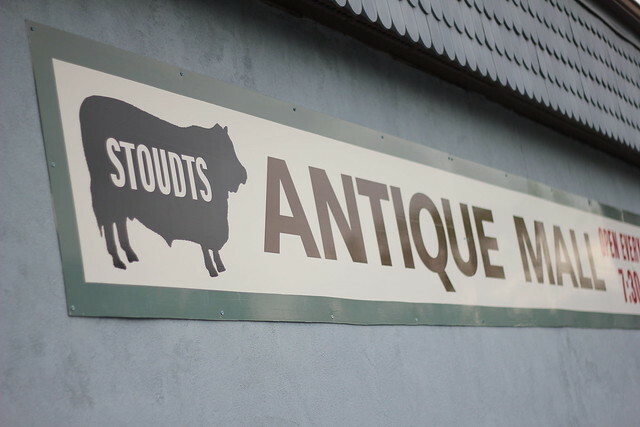 The name was only changed once and still remains the same: Stoudt’s Black Angus. During the restaurant’s opening in the 60’s, Ed developed a love for antiques and rented out his cellar space to local dealers. It started as a small venue in the basement of the restaurant and is now a 78,000 square foot building housing over 400 merchants. Stoudtsburg was awesome! 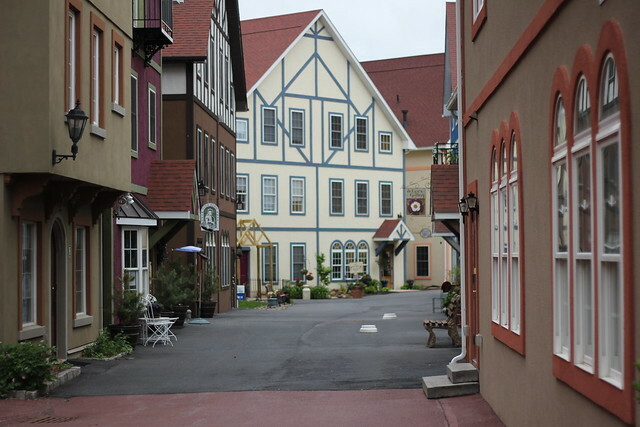 Little shops and cafes spread around this tiny village as if to capture a little of the German spirit. Here you can find furniture, clothing, jewelry and artwork. 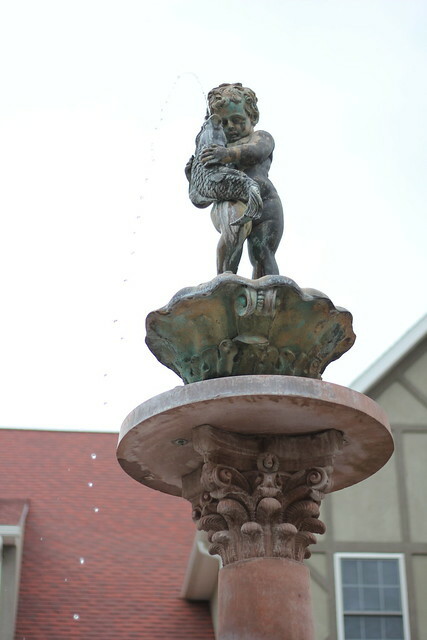 Sweet fountain in the middle of it all. Let’s get on with the beer talk. In 1978 Ed and his wife opened the Bier Garten and had their firstÂ GemÃ¼tlichkeit Beer Festival. 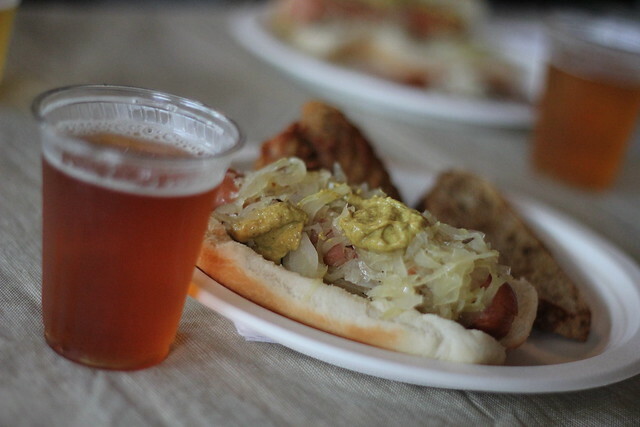 Everything was up to their standards at the event, except for the beer – it wasn’t fresh! 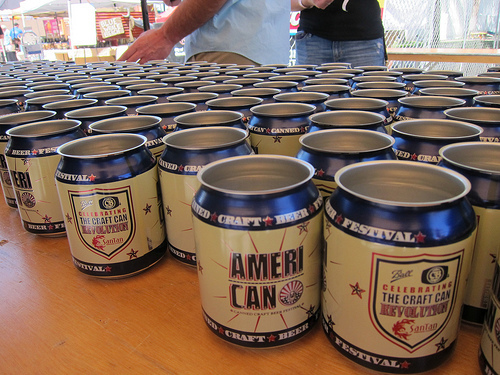 They knew they had to have some quality brew at their festival and what had been served was insufficient. 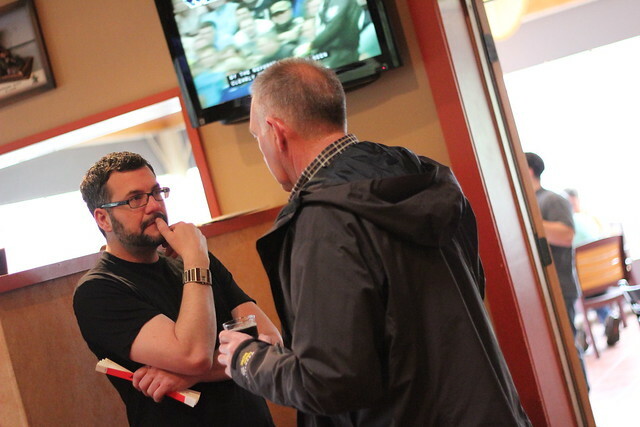 So, Carol and Ed began to take trips and meet with different brewers, eventually winding up at a Brewer’s Conference with known figures such as Charlie Pappazi and Ken Allen. 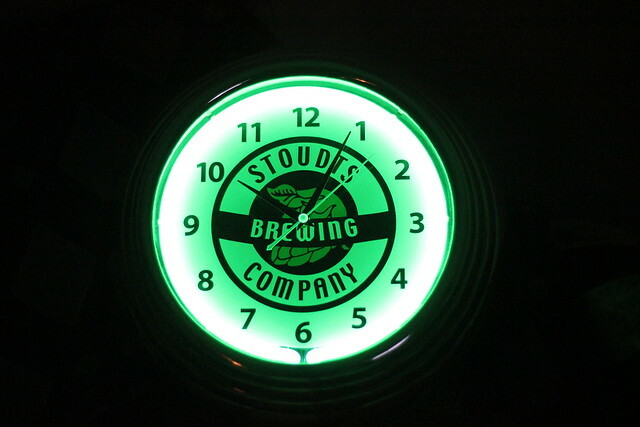 It wasn’t long before they started Stoudt’s Brewing Company. 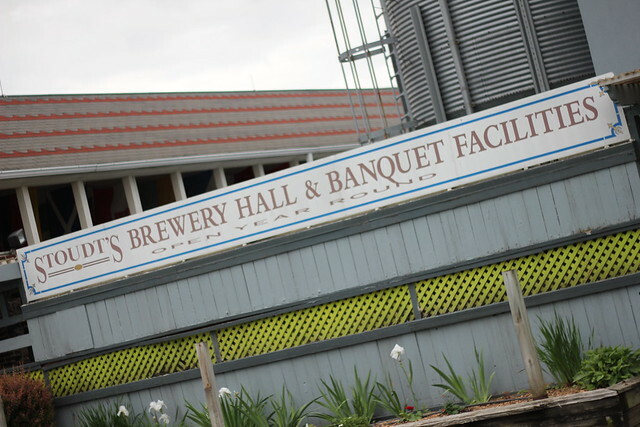 Established in 1987, it was one of the first microbreweries to open since Prohibition and was formed during a time when most microbreweries failed to stay open for more than a few years. 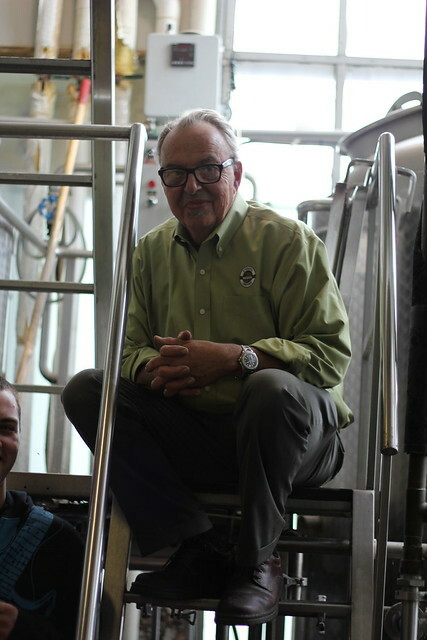 Another familar figure in the craft beer world – Karl Strauss – helped Ed, Carol, and their inaugural brewer Scott get their brewery going. Originally brewing only 500 barrels for in-house use, Ed and Carol picked up an antique bottle filler for champagne magnums in 1988 and have grown drastically to what is a 10,000 barrel brew house today. 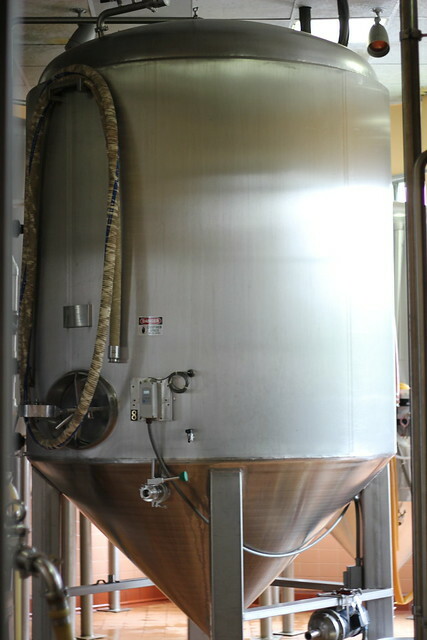 It was bottling day so we needed to be aware of our surroundings. 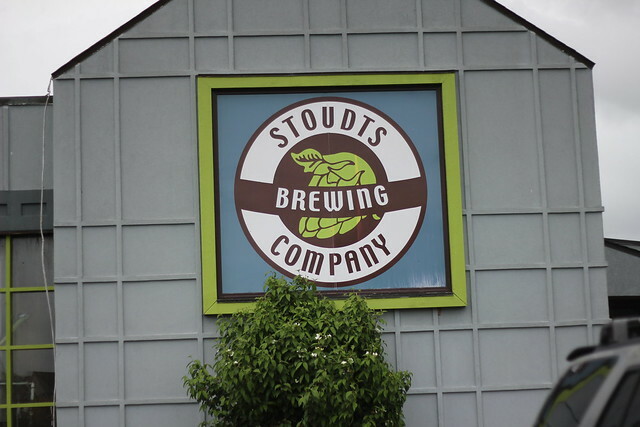 Aside from anÂ informationalÂ tour we had a nice spread of food for lunch, and of course, endless samples ofÂ Stoudt’s beer. I opted for a piece of fried chicken and a hot dog with kraut and mustard. Which brew should I taste? You can’t have just one. 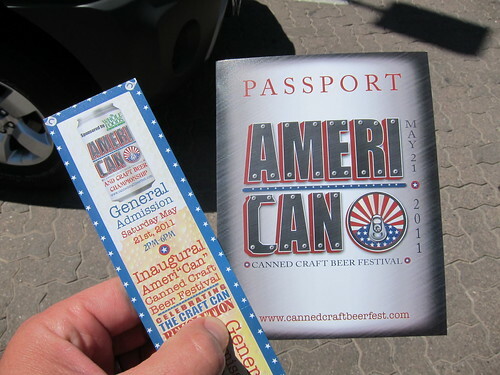 I was a big fan of the American Pale Ale. 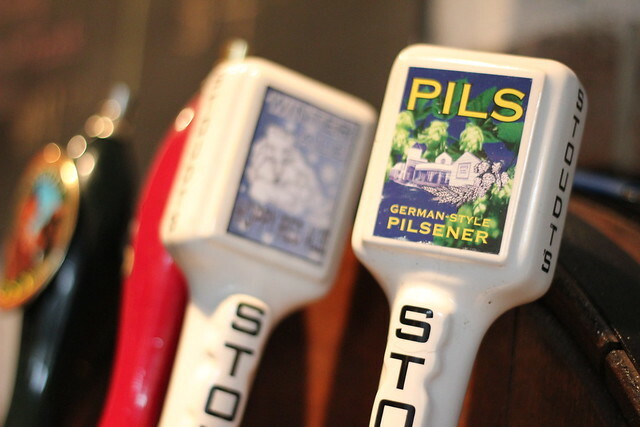 One of their original beers, Pils, is a German-style pilsner. Crisp, hoppy, refreshing, and – might I add – fresh. 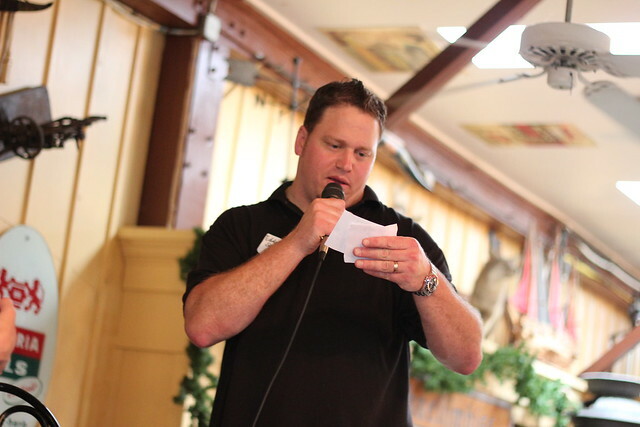 Eddie Stoudt called out a few raffle winners. Our friend Kasey from the Mohawk House won this sweet clock and bequeathed it upon us. It lights up the office pretty nicely. Thanks! Don’t forget to swing by the gift shop. 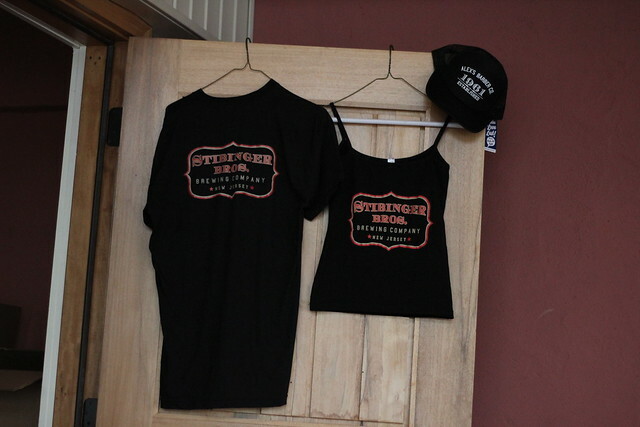 They have t-shirts, glassware, hats, posters – even beer. You can get some exclusive brews here that aren’t in stores. 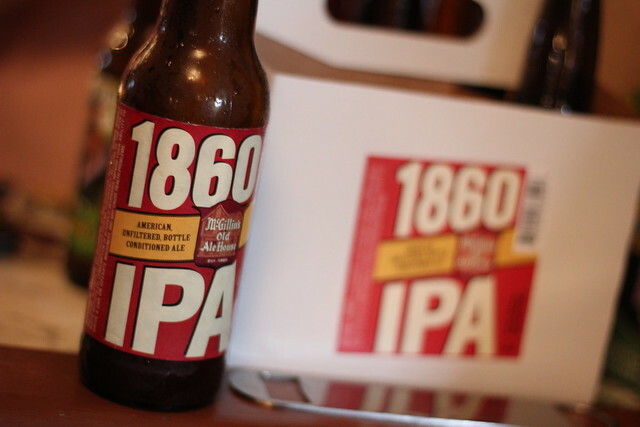 Take this bottle as an example: 1860 IPA brewed specifically for McGillins Old Ale House in Philadelphia. I can honestly say this was one of the best trips I have been on in long time. Even though it was only a day, I feel like I got to take a mini-vacation to Germany and really enjoyed myself with some fine food and good beer. I would like to thank Steve and Rachel from Mohawk House, Kasey for tagging along with me, and Mike along with everyone else at High Grade for putting this trip together for the local bars and restaurants. 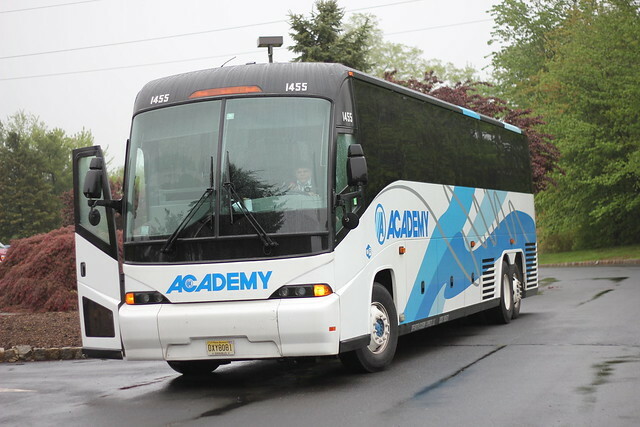 I can’t wait to go on the next one!